Note: Welcome to new email subscribers! Today’s post is different from my usual fare. I’ll be back soon with tips on cooking for one or two, using beans in recipes, and leftovers. Subscribe via email for full posts right to your inbox. I recently came back from a conference in Medellin, Colombia. My conference was about breastfeeding, not cooking. But I did not forget you, dear readers. I planned to visit the local open-air market in Medellin and take some wonderful photos of South American produce and goods. I read on the internet that the market contained over 2,500 stalls. I joined a list of people attending the conference and with the help of Google Translate, I asked if anyone wanted to visit the market with me. The women on this list, from various Latin American countries, didn’t get it. One pointed out that if I wanted fruits and vegetables, I could visit the neighborhood grocery. I tried to explain that I wanted to see the market for the local experience. Eugenia, who organized the conference, understood. She shops for her family at the Medellin market every week. I only had free time on Sunday morning, so I worried that the market might be closed. 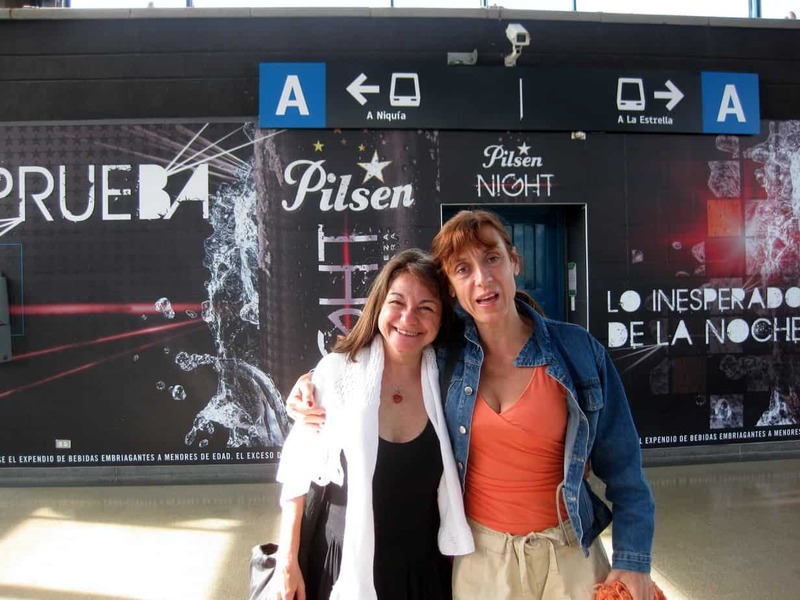 But Eugenia assured me that many Medellin-ites shopped on their day off. Next I looked for a Spanish speaker to accompany me. 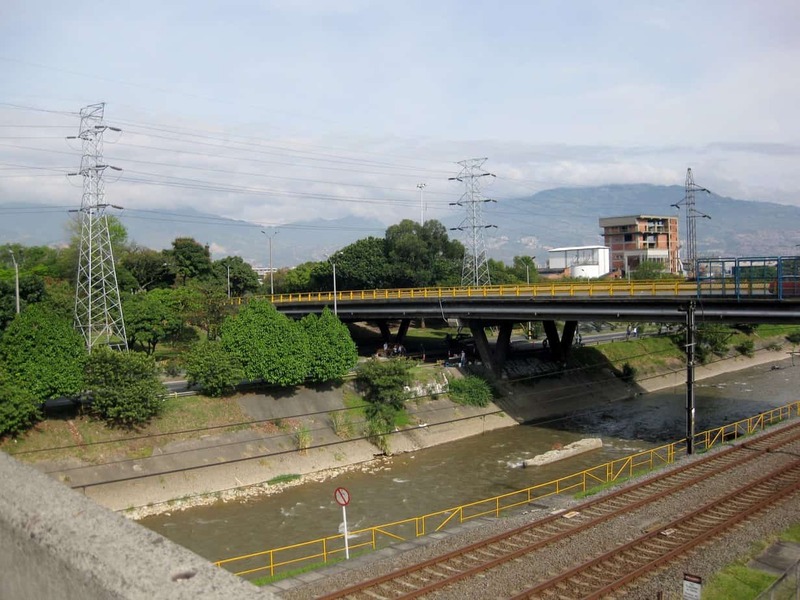 Medellin has cleaned up its act to make it safe for tourists, but I’m not adventurous enough to wander around alone. Soon I met Mercedes from Argentina. She remembered my message from the list and also wanted to visit the market. Although she was skeptical about getting up so early on a Sunday, we agreed to talk later. Next time I saw Mercedes, she had learned from a local that the market moved around from week to week. 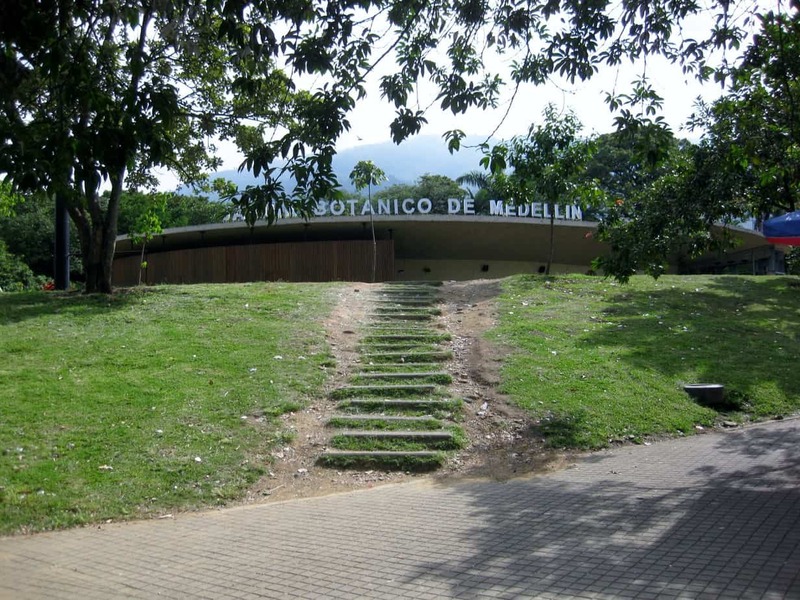 This Sunday it would be hosted by the Medellin Botanical Gardens, accessible via the new Metro. What an adventure—a trip on the metro, the botanical gardens and the market all in one. Word must have spread, because a group of 7 waited in the hotel lobby at 8 am on Sunday including women from Argentina, Guatemala and Costa Rica. We took two taxis to the Metro stop, the train from there to the Botanical Gardens. 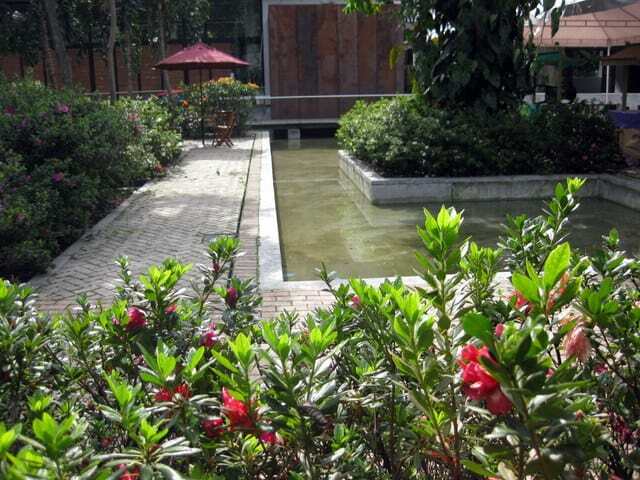 We learned that the market was supposed to be inside the Gardens. We should have been suspicious from the beginning. When it opened at 9, the vendors were still setting up. 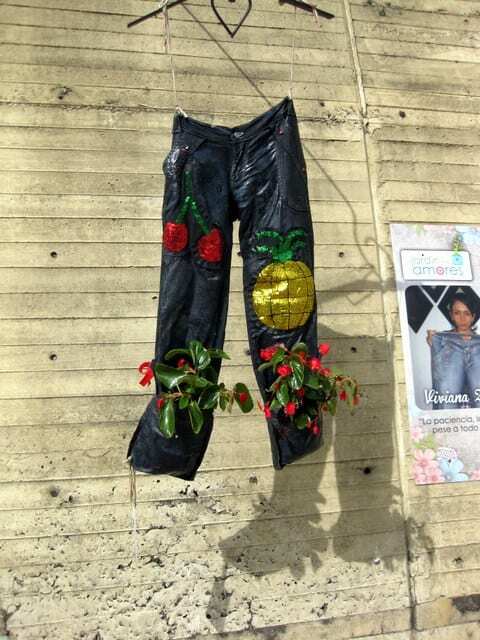 And their products were not yuca or papaya, but organic honey and designer cloth diapers. We had been sent to the tourist market! Outside the gardens were more stalls selling souvenirs. The local woman who directed Mercedes made the same assumption as the woman from the list—tourists like us surely wouldn’t be interested in the gritty, local shuk. By that time we had less than an hour before getting back to the hotel for meetings, and wouldn’t get another chance to go off by ourselves. Only on the way home did I realize that we missed seeing a large part of the botanical gardens. While I don’t have pictures from the market, I do have a few from the Metro and the Botanical Garden. 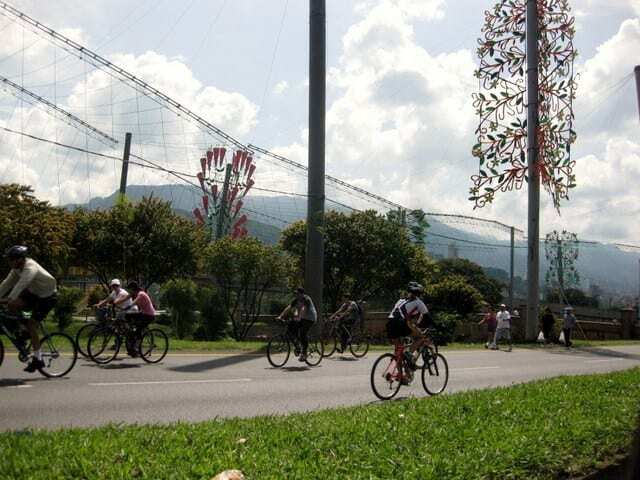 On Sundays, one of the highways is closed for bike-riders and pedestrians.Cities throughout Colombia were competing in a competition for Christmas lights, so even though I visited Bogota and Medellin in early November, decorations were everywhere. Perhaps the bees also had some Christmas significance. In another post, I’ll tell you about my adventures in the grocery store and what I learned about South American food. How disappointing that you missed the market? But thank you for the beautiful pictures!